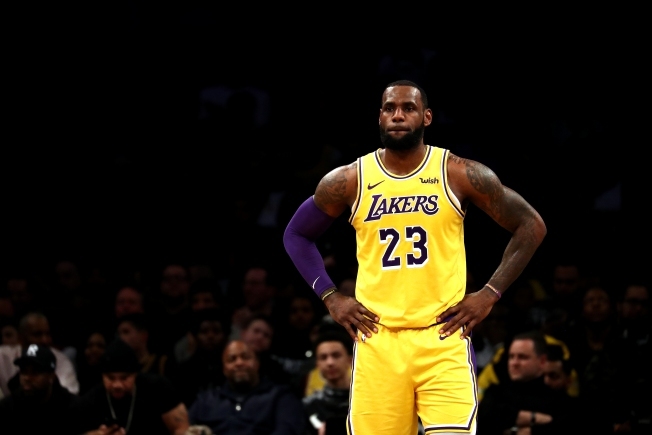 This Dec. 18, 2018, file photo shows LeBron Jamesof the Los Angeles Lakers look on against the Brooklyn Nets during their game at the Barclays Center in New York City. LeBron James went to the NBA Finals for the eighth consecutive year. He changed addresses again, leaving his Cleveland home for the second time to join the Los Angeles Lakers in the biggest move of free agency over the summer. He remained arguably the dominant player in basketball, adding even more glitz on a legacy that reached epic status long ago.